Voting is the central task of citizens. What should be the criteria for voting? 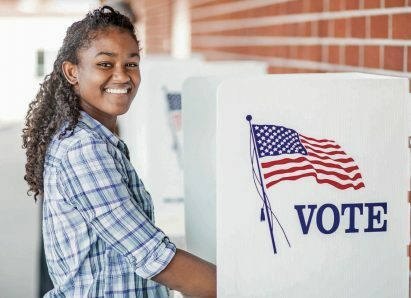 Is lowering the voting age being inclusive or clueless? What is the current minimum voting age? What is an appropriate voting age? 16? 18? 21? 25? Is age the primary criteria for being a responsible voter? What other criteria would you recommend? Why did the 26th amendment pass in 1971? What does the history of voting rights for African Americans and women tell us about the struggle for enfranchisement? What are other significant voting issues? Felon voting, gerrymandering. Voter suppression? What do supporters say about lowering the voting age to 16? What do opponents of lowering the voting age to 16 say? What is the key to making sound judgments? What is emotional maturity? What is peer pressure? How might these affect voting? Does the voting age relate to the smoking age? Drinking age? Driving age? Marriage age? Military enlistment age? What do other countries choose as the minimum voting age? CLP Current Event: 16-Year-Old Vote?